Today I would like to share with you one of my favourite techniques for creating a textured background, using the faaaaabulous 8 x 8 honeycomb chipboard. Prepare background chipboard with a coat of spray gesso and allow to dry. 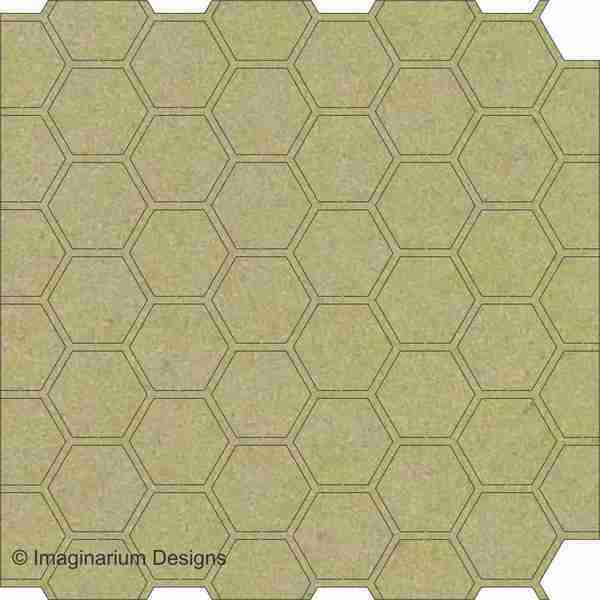 Create textured masked hexagon shapes with honeycomb chipboard and impasto; scrape the impasto into the open areas of the shaped chipboard, remove chipboard mask and allow to dry. When impasto paste is dry spray on a liberal amount of mist on and around the masked pattern area. Tilt your background and allow the mist to dribble down the background. To soften the look I have also used misted water on the mist; over-sparying and allowing it to run off. Mop up some ares of the water misted coloured mist; I do this to ensure that I get a 'balanced look'. Using a small soft bristle paint brush addd some extra spots/splats of mist colour to highlight certain areas of the textured background, ensuring that you maintain visual balance. Dry the mist off using the heat gun. This is the finished background [close ups below].